The outbreak of World War II on 1 September 1939 put Luxembourg’s government in a delicate situation. On the one hand, the population’s sympathy lay with Belgium and France; on the other hand, due to the country's policy of neutrality since 1867's Treaty of London, the government adopted a careful non-belligerent stance towards its neighbours. As of 1 September, Radio Luxembourg stopped broadcasting. In spring 1940, fortifications were erected along the borders with Germany and France. The so-called Schuster Line, named after its constructor, consisted of massive concrete roadblocks with steel doors. The official aim of these road blocks was to slow down the progress of any invading army and give time for the guarantors of Luxembourg's neutrality to take counteractions against the invaders. However, compared to the massive power of the German forces, it only had symbolic character and helped to calm down the population. Except for its small Corps des Gendarmes et Volontaires, Luxembourg did not possess an army, due to the treaty's restrictions. The German invasion, made up of the 1st, 2nd, and 10th Panzer Divisions began at 04:35. They encountered no significant resistance save for some bridges destroyed and some land mines, since the majority of the Luxembourgish Volunteer Corps stayed in their barracks. Luxembourgish police resisted the German troops, however, to little avail; the capital city being occupied before noon. Total Luxembourgish casualties amounted to 75 police and soldiers captured, six police wounded, and one soldier wounded. At 08:00, elements of the French 3rd Light Cavalry Division [fr] of General Robert Petiet [fr], supported by the 1st Spahi Brigade of Colonel Jouffault and the 2nd company of the 5th Armoured Battalion, crossed the southern border to conduct a probe of German forces; these units later retreated behind the Maginot Line. By the evening of 10 May 1940, most of the country, with the exception of the south, was occupied by German forces. More than 90,000 civilians evacuated from the canton of Esch-sur-Alzette as a consequence of the advance. 47,000 fled to France, 45,000 fled into the central and northern part of Luxembourg. Grand Duchess Charlotte and the government of prime minister Pierre Dupong fled to France, Portugal and the United Kingdom, before finally settling in Canada for the duration of the war. Charlotte, exiled in London, became an important symbol of national unity. Her eldest son and heir, Jean, volunteered for the British Army in 1942. The only official representative left behind was Albert Wehrer [de], head of a governmental commission, as well as the 41 members of the Chamber of Deputies. Early on 10 May 1940, the German diplomat Von Radowitz handed the general secretary of the Luxembourgish government a memorandum from the German government, stating that Germany had no intention of changing the territorial integrity or political independence of the Grand Duchy. The following day, a military administration for Luxembourg was set up. Luxembourgish interests were represented by a governmental commission under Albert Wehrer, which consisted of senior civil servants and had been legitimated by the Chamber of Deputies. There was a good relationship between this commission and the military authorities, as Colonel Schumacher showed a broad-minded attitude towards the country's problems and a willingness to solve these in consultation with the government commission. On 13 July 1940, the Volksdeutsche Bewegung (VdB) was founded in Luxembourg City under the leadership of Damian Kratzenberg, a German teacher at the Athénée de Luxembourg. Its main goal was to push the population towards a German-friendly position by means of propaganda, and it was this organisation that used the phrase Heim ins Reich. Several Deputies and high-ranking civil servants were of the opinion that Luxembourg could retain a measure of autonomy under the military administration, as had occurred in World War I, and attempts were made to come to some sort of arrangement with Germany. However, it was soon made clear by the authorities in Berlin that Luxembourg's fate would be very different this time. The Nazis considered the Luxembourgish people as just another Germanic ethnic group and the Grand Duchy a German territory. The military authorities were withdrawn from Luxembourg by 31 July 1940, to be replaced by a civil administration under Gustav Simon. Gustav Simon was appointed Chef der Zivilverwaltung (CdZ; "Chief of the Civil Administration") by the Oberkommando des Heeres on 21 July 1940. Luxembourg was then included into the CdZ-Gebiet Luxemburg on 29 July. While initially subordinate to the military commands in Belgium and northern France, Simon was confirmed in his appointment on 2 August by Adolf Hitler himself, indicating that he reported directly to the Führer and no one else. This granted him a wide degree of autonomy with regards to the military and civil authorities of Nazi Germany. The administration of Simon arrived in Luxembourg fully persuaded that the "German-ness" of the Luxembourgers merely lay under a thin external layer of French influence. This in turn meant that, with a bit of determined "unraveling" by his administration, the German character of the population would essentially reveal itself. 6 August 1940: German became the only official language, and the usage of the French language was banned. The ban applied to official and administrative usage as well as everyday life. French expressions of courtesy such as "Bonjour", "Merci", "Monsieur", "Madame", etc. were included: people greeting each other had to say "Heil Hitler". Autumn 1940. The political parties and independent labour unions, the Parliament and the Conseil d'Etat were dissolved. All civil society organisations and the press were subjected to Nazi control. 31 January 1941: French-sounding family names, first names, and the names of streets, towns, shops and companies were Germanised, that is, translated into their German counterpart or simply replaced by something more Germanic. Henri became Heinrich, Dupont became Brückner. 18 February 1941: Wearing a beret (a traditional cap from the Northern Basque Country) was forbidden. From May 1941 many Luxembourgish youth were ordered to participate in the Reichsarbeitsdienst. The occupation authorities attempted to cover Luxembourg with a net of political, social and cultural organisations, such as also existed in Germany, including the Hitlerjugend, the Bund Deutscher Mädel, the Winterhilfswerk, the NS-Frauenschaft, and the Deutsche Arbeitsfront. The Catholic Church in Luxembourg was relatively silent during the war, and took no public stance regarding the fate of the Jews or the Nazi regime. On the one hand, the Bishop, Joseph Laurent Philippe, was bedridden due to illness, and was therefore in no state to provide active opposition. On the other hand, the Bishop did not want to further antagonise the occupiers and endanger the already precarious religious life of the Church, which was heavily restricted during wartime. Bishop Philippe did, however, refuse to meet with the Nazi leadership, and made preparations in case his post should fall vacant. The Church saw its very existence threatened as it was pushed out of public life by the anti-religious policies of the Nazis: public religious events such as the Octave celebration or the dancing procession were banned, Christian organisations were dissolved, religious education in schools was abolished, and a ban on the religious orders was put in place. At the same time, the diocese administration remained one of very few Luxembourgish institutions that stayed intact during the war, although this was in doubt for a while, and a deportation of the Bishop was considered by the occupation authorities. The Luxembourgish resistance was carried out by only a small fraction of the population. Its formation was spontaneous and slow at first. The first groups were formed from autumn 1940 to summer 1941. In the beginning they worked without coordination and from different motivations, for instance Liberals opposed to the anti-Jewish policies and in favour of democracy as well as conservative Roman Catholics with sometimes more or less anti-national socialist tendencies. Some of the latter category also were at the same time opposed to the Soviet Union and "Bolshevism", hoping that the generals of the Wehrmacht would defeat Joseph Stalin and the Red Army, while at the same time hiding Jews and anti-Nazi clergy mixed together in their farms. The Luxembourg Resistance was joined by the Communist Party of Luxembourg only after the invasion of the USSR in June 1941. The activities of the Resistance were largely directed towards undermining the German monopoly on information, and providing moral support to the population, by spreading counter-propaganda by word-of-mouth, leaflets, posters and later whole newspapers. Additionally, the Resistance helped Allied POWs and shot-down pilots, "deserters" from the Wehrmacht and other endangered Luxembourgers to cross the borders into Belgium or France. The introduction of forced labour and conscription into the Wehrmacht added to the Resistance's tasks: a large number of youths who refused to serve in the German armed forces now had to be hidden around the country and kept safe and fed, or helped to escape abroad. Collections of food and money were also made to help the families of those who were arrested, deported, or fired from their jobs. An increasingly important part of the Resistance's activities was to provide military, political and economic intelligence to the Allies. While some acts of sabotage did take place, they were rare and were seen as too risky in a small country with no remote areas to which they could withdraw. For similar reasons, armed combat by the Resistance against the occupiers was rare. Finally, many of the movements made contact with the government-in-exile, the Allies, and the French and Belgian resistance movements, with many young men joining the armed resistance in France and Belgium. Non-violent passive resistance was widespread in Luxembourg during the period. From August 1940, the Spéngelskrich (the "War of Pins") took place as Luxembourgers wore patriotic pin-badges (depicting the national colours or the Grand duchess), precipitating attacks from the VdB. Conscription was particularly unpopular. On 31 August 1942, shortly after the announcement that conscription would be extended to all men born between 1920 and 1927, a strike began in the northern town of Wiltz. The strike spread rapidly, paralyzing the factories and industries of Luxembourg. The strike was quickly repressed and its leaders arrested. 20 were summarily tried before a special tribunal (in German, a "Standgericht") and executed by firing squad at nearby Hinzert concentration camp. Nevertheless, protests against conscription continued and 3,500 Luxembourgers would desert the German army after being conscripted. Collaboration with the Nazi occupation is an aspect less often talked about in Luxembourg. Studies have shown that collaboration was a phenomenon in all layers of society. There was, however, an over-representation of civil servants among the collaborators. On average, the collaborators were younger than the general population. In early September 1944, approximately 10,000 people left Luxembourg with the German civil administration: it is generally assumed that this consisted of 3,500 collaborators and their families. In 1945, 5,101 Luxembourgers, including 2,857 men and 2,244 women were in prison for political activities, constituting 1.79% of the population. 12 collaborators were sentenced to death and were shot in Reckenthal in Luxembourg City. 249 were sentenced to forced labour, 1366 were sentenced to prison and 645 were sent to workhouses. Faced with opposition from the general public the regime took brutal measures against any form of resistance. After the general strike of 1942, Gustav Simon proclaimed a state of emergency and introduced the German Standgerichte. Thousands were arrested and tortured. Hundreds died in the concentration camps. Whole families were deported to eastern Germany and replaced by German families, mainly from South-Tyrol and Eastern Europe. The headquarters of the Gestapo, the Villa Pauly, became the symbol of this terror. In August 1940, the Gestapo had established its headquarters in the Villa Pauly in Luxembourg City, with field offices in the Villa Seligmann in Esch and the Villa Conter in Diekirch. On 9 September 1942, the Gauleiter announced a "Resettlement operation for Luxembourg. From then until 1944, more than 1,410 families (4,200 individuals) were resettled to the East, the Sudetenland and Upper Silesia. They lost all their property and were to be educated into becoming "good Germans", being forbidden from returning to Luxembourg. From 1943, in addition to families deported for political reasons, the Germans started resettling families whose sons evaded conscription into the Wehrmacht or who had deserted from their units. Out of these resettled people, 73 died in the camps, including 9 children, mostly due to malnutrition and the lack of medical facilities. Before the invasion, 3,900 Jews lived in Luxembourg, many of them refugees from Germany and Austria. On the night of 10 May 1940, about 1,600 of them left the country. After Simon introduced the Nuremberg Laws, life became unbearable for the Jewish population. Their shops, possessions and money were confiscated and all Jewish employees were fired. They were not allowed inside public buildings or to keep pets. Up until 15 October 1941, a further 1,500 Jews left the country on the orders of the authorities. The Gestapo accompanied them to France and Spain but, since they were rejected there, they went on an endless odyssey. On 23 August 1941, a curfew was introduced for the Jewish population and they were degraded to second class citizens. The synagogues in Luxembourg City and Esch-sur-Alzette were destroyed; the ones in Ettelbruck and Mondorf-les-Bains were devastated. The Nazis concentrated most of the remaining 800 Jews in the old monastery of Cinqfontaines (Fünfbrunnen). From here, they were deported on 7 trains from 16 October 1941 to 17 June 1943 to the ghetto of Litzmannstadt and the concentration camps of Lublin and Theresienstadt, and from 1943 directly to the extermination camp of Auschwitz. On 17 June 1943, Gustav Simon announced Luxembourg to be Judenfrei. From the 683 deported, only 43 survived. Luxembourg was liberated by Allied forces in September 1944, specifically U.S. Army Combat Command A (CCA), 5th Armored Division. The first U.S. forces entered Luxembourgish territory near Petange on 9 September, and liberated the capital city on 10 September 1944. The Germans retreated without fighting. By 12 September 90% of the Grand Duchy had been liberated. One month before the start of the Battle of the Bulge, 250 soldiers of the Waffen-SS had unsuccessfully tried to recapture the town of Vianden from the Luxembourgish Resistance during the Battle of Vianden. During the Battle of the Bulge, the northern part of the country was hit by artillery from a special unit that the Germans designed to send shells up to 40 km (25 mi) away (see V3), but the Germans did not take the city. In total, 5,700 Luxembourgish citizens died during World War II, which corresponds to 2% of the population of 1940, the highest such loss in Western Europe. The government-in-exile in 1941 declared all measures by the German occupiers to be null and void, which it re-affirmed in 1944. However, it also stated that "[n]ot all is bad in the German system, we would do well to conserve some of the institutions that they have introduced." Hence, when the exiled government returned, it allowed certain German regulations and dispositions in the areas of employment law, tax law and social legislation to stay in effect. After the war the organisation "Ons Jongen" ("Our Boys") was formed to represent Luxembourgish conscripts into the Wehrmacht. 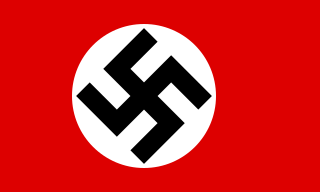 The 10,000 affected young men and their families constituted a significant force in a country of around 300,000 inhabitants; they lobbied both the Luxembourgish government and the Federal Republic of Germany; later, they were represented by the "Federation of Victims of Nazism Forcibly Conscripted". Apart from lobbying, the organisation also undertook commemorative work. It almost certainly contributed to slowing the normalisation of Germano-Luxembourgish relations. ^ a b c d e f g h i j k l m n o p q r s t u Dostert, Paul. "Luxemburg unter deutscher Besatzung 1940-45: Die Bevölkerung eines kleinen Landes zwischen Kollaboration und Widerstand". Zug der Erinnerung (in German). ^ a b c d e f g "Heim ins Reich: La 2e guerre mondiale au Luxembourg - quelques points de repère". Centre national de l'audiovisuel. Archived from the original on 10 June 2007. ^ Majerus, Benoît (2002). "Kollaboration in Luxemburg: die falsche Frage?". ... et wor alles net esou einfach. Fragen an die Geschichte Luxemburgs im Zweiten Weltkrieg. Ein Lesebuch zur Ausstellung (PDF). Publications scientifiques du Musée d’Histoire de la Ville de Luxembourg. X. Luxembourg. pp. 126–140. ^ a b c Hellinghausen, Georges. "Joseph Philippe (1935-1956)". Église Catholique à Luxembourg / Katholische Kirche in Luxemburg. ^ Various (2011). Les Gouvernements du Grand-Duché de Luxembourg depuis 1848 (PDF). Luxembourg: Government of Luxembourg. p. 114. ISBN 978-2-87999-212-9. ^ "Luxembourg Volunteers in the German Wehrmacht in WWII". Feldgrau. Retrieved 11 May 2013. ^ Schoentgen, Marc (October 1997). "Juden in Luxemburg 1940-1945" (PDF). forum (179): 17–19. ^ Clesse, René (2002). "Shoah in Luxemburg" (PDF). Ons Stad (71). ^ a b c d Krier, Émile (1997). "Luxemburg am Ende der Besatzungszeit und der Neuanfang". In Düwell, Kurt; Matheus, Michael (eds.). Kriegsende und Neubeginn: Westdeutschland und Luxemburg zwischen 1944 und 1947 (PDF). Geschichtliche Landeskunde. 46. Stuttgart: Franz Steiner. ^ Trausch, Gilbert (1992). Histoire du Luxembourg. Paris: Hatier. p. 176. ISBN 2-218-03855-2.